· Added feature for creating movies. · Removed controls from timer window and made the timer controllable via menu items. · Added capability to set starting time with 1 second accuracy. · Added option to customize colors. · Added clickable "Run Status" icon. 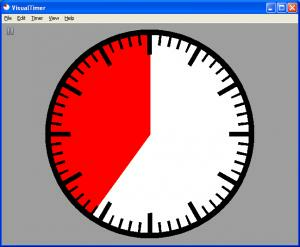 You can download VisualTimer free here. We do not allow the inclusion of any VisualTimer serial, keygen or crack and we disclaim any liability for the inappropriate use of VisualTimer. FindMySoft advises that VisualTimer should be only used in accordance with the rules of intellectual property and the existing Criminal Code.